Welcome to our Sunday Token Social. Grab two big scoops of tokens from this week’s featured games, then hang out and chat while we sprinkle in fun topics. We can’t help but love this week’s topic: Valentine’s Day. 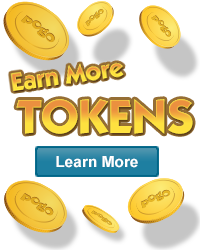 Be our Valentine and enjoy some sweet tokens and of fun chat topics. Test your skills with Dominoes! Play with 4 wild cards and a 104-card deck!